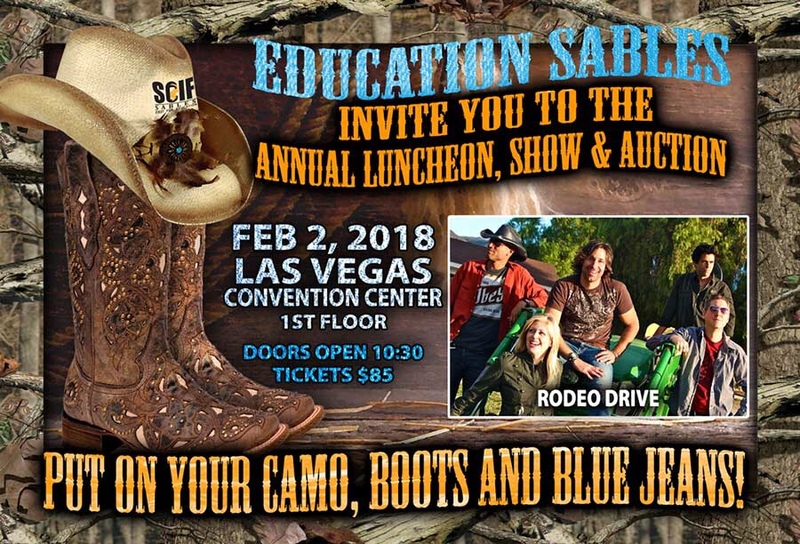 SCI and SCI Foundation are maintaining our relationships with Native American tribes by once again auctioning big game hunting tags donated by the Acoma Pueblo of New Mexico and the Navajo Nation. These tags will be auctioned to members and patrons of the SCI Convention with the goal of supporting tribal natural resource agencies, supporting SCI and SCIF’s conservation efforts, and raising awareness about Native American conservation, hunting, and wildlife in Indian Country. These auction tags do far more than just raise money, they also promote positive relationships with Native Americans, hunters, and conservationists. As with many guided hunts in foreign countries, these hunts on indigenous land are guided and provide a rare opportunity for non-Indians to hunt wildlife within reservation boundaries. The world-famous Acoma Pueblo have donated a Rocky Mountain Elk tag provided by Acoma Big Game Hunts and is good for 11 days of hunting. The tribe is also making a black bear tag available if desired at current rates. Many of the bulls harvested on Acoma land have scored well over 400 on SCI’s record book, including a #1-ranked non-typical bull taken in 2010 by muzzleloader. While on this hunt, full service meals, field preparations, antlers and cape delivery, tent accommodations, and even taxidermy are all provided free of charge. There is no better way to experience what has been described as, “North America’s Machu Picchu” than this. The Navajo Nation, the largest Indian reservation in the world, hosts some of the best hunting opportunities on the continent. They are offering a 30 day mountain mule deer hunt. This mountain mule deer opportunity is good on all 27,096 square miles of Navajo land for 30 days, which do not have to be consecutive. While guiding arrangements are not included, this very generous tag offers a chance to visit some of the most pristine country on the continent. The vast Navajo Nation offers 16 hunting units across three states; Arizona, New Mexico, and Utah. Proceeds from this hunt will go to the Navajo Nation Department of Fish and Wildlife to support conservation, wildlife law enforcement to combat poaching, and toward the annual Navajo Youth Hunt. SCI and SCI Foundation are proud to support local, grass-roots efforts by local communities to responsibly manage their wildlife while combating poaching and poverty. Just as profits from hunts in Africa go toward conservancies aimed at empowering locals to exercise stewardship over their natural resources, these efforts empower America’s first nations. We at SCI Foundation are going to reach out to more tribes and encourage more cooperation between hunter-conservationists and Indian Country. This year’s conservation tag auction will take place Friday, February 2nd, 2018 at 11:00 AM in the MGM Grand Ballroom. For more information about this and all other events, please go to the SCI Convention website at: www.ShowSCI.com. These opportunities are a must for any dedicated hunter-conservationist! Isn’t it time you started living your dream?